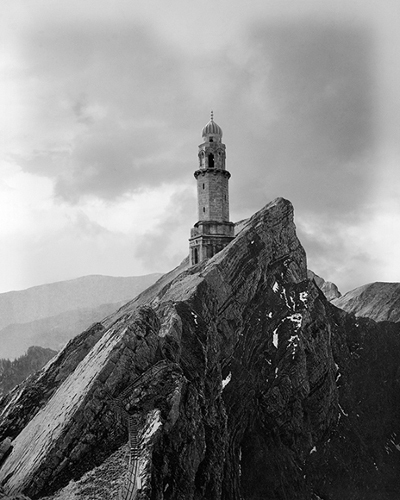 Mohzlar-Rham’s Tower at Mt. Ebal, from the series Selections from the Joint Photographic Survey. © Adam Ryder. The images of architectural structures in Adam Ryder’s Selections from the Joint Photographic Survey function as relics from a rediscovered archive of a geological and cultural survey of the Holy Land. Ryder presents these pictures as selections from an ambitious FSA-like project between two factions who occupied lands that exist now as Israel, Palestine, and Jordan. Though fictitious, this project works towards highlighting the geographical, religious and ethnic roots that underscore the Israeli-Arab conflicts. Josh Poehlein: First off, how did you get involved with photography and art in general, and whose work do you look to for inspiration? Adam Ryder: I got into photography as a teenager, my dad was always shooting slides on our family vacations and it was something I thought was a mark of adulthood I suppose. These days I look to a wide variety of artists when I go idea hunting: Walid Raad, Joan Fontcuberta, Mary Mattingly, Richard Smithson, Trevor Paglen, Ed Ruscha, as well as the work of my immediate peers. 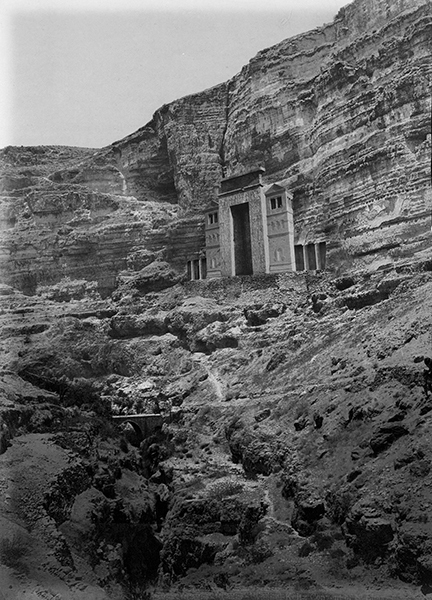 The Narathean Temple at Gerasa, from the series Selections from the Joint Photographic Survey. © Adam Ryder. JP: Your project The Joint Photographic Survey contains what appear at first glance to be historical photographs. In the book, we[‘re told] that these images were created by a group of photographers in the 1920s working under the joint authority of Mandatory Palestine and the Emirate of Transjordan. Their goal was to document “historical architectural sites of interest” in and around the Holy Land. Beyond documentation, what would have been the purpose of an organization like the JPS? Did they seek a common history, a claim to culturally important sites, or was it simply an impulse to somehow arrest the erosion of the structures in the photographs? 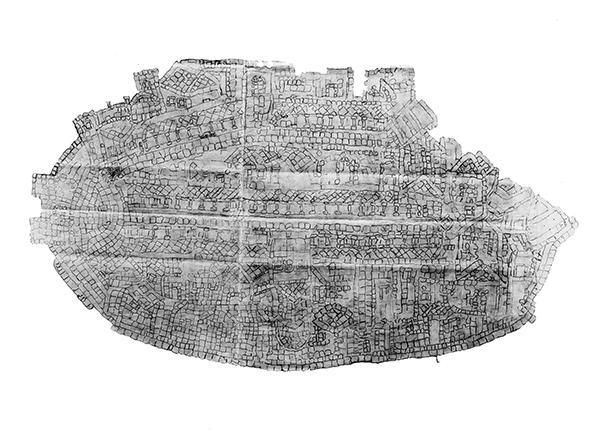 AR: I’m very interested in Utopia and I try to blend elements of the utopic into the fictional narratives of my work. In the 1920’s the British controlled both Mandatory Palestine and Transjordan to varying degrees. This establishment of European control however also demarcates the point at which, what is today Israel and its Jordanian neighbor, began to move away from each other culturally, one becoming a more Western power while the other reverted to an Arab kingdom. In my pseudo-historic narrative, I thought of the JPS as a way for these different nations to bridge the gaps between religion and ethnicity. The Survey project was the product of a shared desire to preserve the architectural relics of their shared histories within the region. As the book mentions at one point, the JPS eventually dissolved under the weight of political pressures and in this way mirrors the caveat of all Utopias, that they are invariably unsustainable. 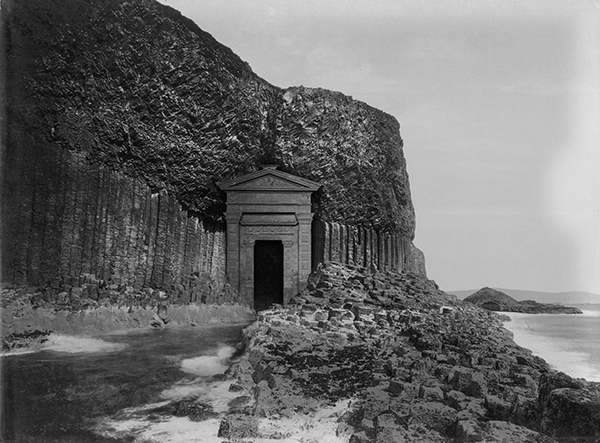 The Sea-Temple of Zarephath, from the series Selections from the Joint Photographic Survey. © Adam Ryder. JP: What is the process of making the images from this body of work? Were you making the images in conjunction with constructing their surrounding mythology or did one predate the other? AR: In making these images, I spent quite a bit of time downloading images from the Library of Congress Prints and Photographs division, primarily from a collection of images donated by the American Colony in Jerusalem – a Christian organization still in operation today in Israel which formed the basis of my Joint Photographic Survey concept. After I had amassed a few hundred images, I sorted them into architectural styles and subjects in an image database, allowing me to search for elements that would fit well together and/or provide interesting contrasts against one another. The rest was a matter of trial and error in Photoshop that was at times enjoyable though at others a bit of headache. After I had made a number of my first composite images, I began to formulate a fictitious circumstance to surround the nature of the images and how they were made. This evolved slowly in the Joint Photographic Survey as I chipped away at researching the historical and political atmosphere of the Middle East in the 1920’s. The full written history of the JPS, as well as my synopsis of the time period in the region were however the last elements of the book that I worked on and perhaps the most difficult for me complete. 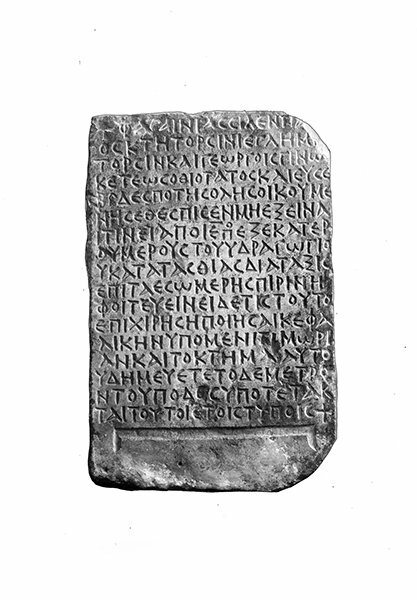 The Syrphic Tablet – Ancient Greek and Aramaic, from the series Selections From the Joint Photographic Survey. © Adam Ryder. JP: The project is imbued with and surrounded by language. The viewer experience is guided by the context you have created for the images. What is your relationship to language in this project, particularly in regards to the titles of the plates and the official description of the JPS? Could the images function without language? AR: These are excellent questions. While I believe the images don’t rely on their titles to be understood for what they are (fictional composites of historical architecture), the linguistic considerations exist as a furtherance of the process I used to make the images themselves. While the visual component of the work is based in record and fact, it is also a distorted and fantastical version of a real (or possibly real) document. The titles I use for each image are largely amalgamations of Biblical names, both of peoples and of locations in the Holy Land. I am very much interested in how writers like Ursula K. LeGuin and [J.R.R.] Tolkien use language to develop a sense of place and of history in their fictions, and very much had them in mind while I was conceiving of the titles for these images. Canyon Fastness of Haurmaea, from the series Selections from the Joint Photographic Survey. © Adam Ryder. JP: The geographical setting for the project is a highly charged area. It is an area that has been plagued with conflict for much of its history. Does the project seek to comment on this history or revise it in any way? There seems to be a certain utopian impulse here, but also a darker tone, in that many of the architectural sites are essentially ruins, separated from other signs of civilization. AR: It should be noted that I have never been to Israel, nor to any part of the Middle East, nor am I affiliated with any organized religion. That being said, I am obviously fascinated with the region mostly because of how its architectural/archaeological record points so directly to the region’s fraught past. I’m drawn to the history of Jerusalem as a site of so many intersecting cultures and claims for so long. I recognize though that I am only engaging with a segment of the landscape of the region – I haven’t taken any steps to address the contemporary political situation of the area, nor would I want to. 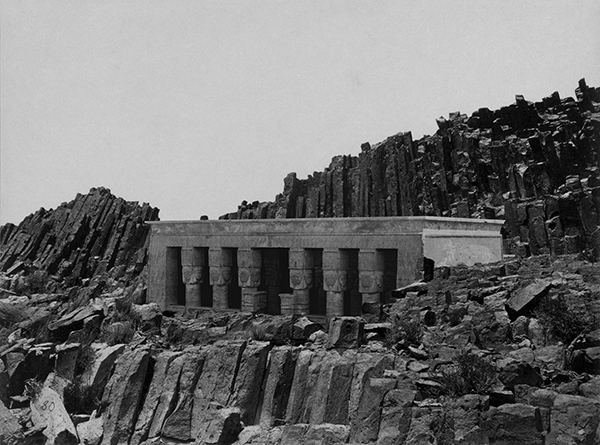 Rama’s Temple at Anathoth, from the series Selections from the Joint Photographic Survey. © Adam Ryder. 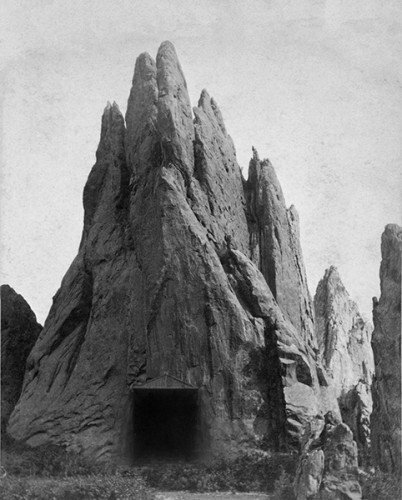 The Gyptic Hill-Tomb of Thuvos, from the series Selections from the Joint Photographic Survey. © Adam Ryder. JP: There is an interesting layering of time and geography going on here. 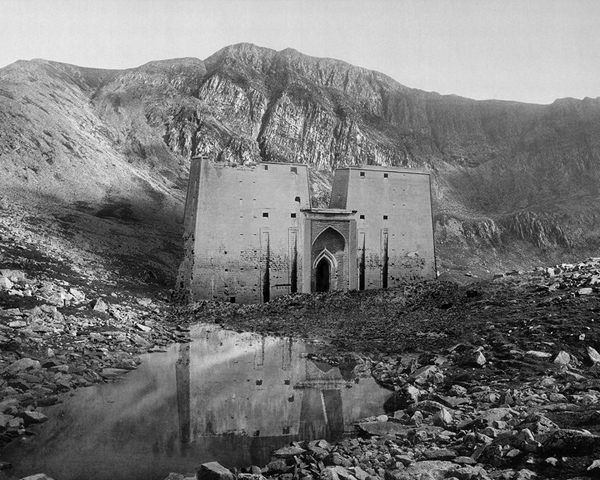 You are an artist working in 2013 in the United States, presenting a group of “found” images by a troupe of photographers in the Middle East working in the 1920s, who were themselves focused on documenting important architectural sites of some bygone era. The sites themselves are indebted to an even deeper history and wider geography through their architectural forms and stylings. How do you think this affects viewers looking back through these layers? What about 50 years from now, or a hundred, when the layers have piled even higher? AR: This is a great question, but not sure I have a great answer! I suppose it will depend on how my alterations to original images are read. Visual literacy of post-production varies greatly from person to person. Some older people who have seen my work think they are looking at original untouched documents, but most younger people see the inconsistencies in the image and realize there is something amiss. In 50 years perhaps my hand in the works will be more glaring to an audience more deeply engaged with digital media. I think that would actually be a service to the concept behind the work. 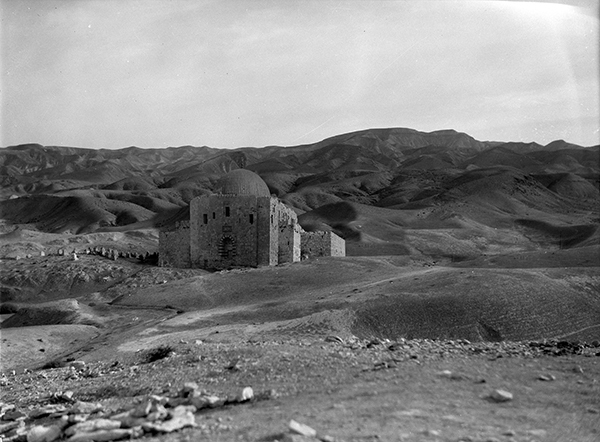 The Wall of El-Jiah near Abel-Keramin, from the series Selections from the Joint Photographic Survey. © Adam Ryder. JP: Much of the aesthetics of this work are rooted in history (photographic history in particular), being mined from the Library of Congress archives, but they also seem to owe something to the worlds of Science Fiction and Fantasy. I was reminded of imagery from Dune and the first Star Wars films. What is your relationship to a Science Fiction or Fantasy way of looking at the world? How do these things inform this project? AR: I guess it’s hard to understate the influence of Sci-Fi and Fantasy novels and films in my work, they are always there. In this project I was hoping to get away from the aesthetics of those genres a bit while retaining my interest constructing a fictive narrative to surround my images. Whereas my previous work Areth: An Architectural Atlas was very much about the future and the way that the future has been conceived, the JPS project has been about how we imagine the past. Specifically, I find anthropological assumptions about the distant past to be situated on very shaky ground and this project is partly a jab at that. 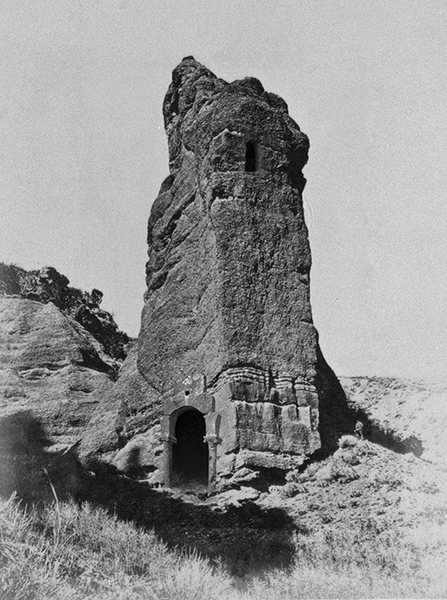 The Tower-Of-The-Rock at Bethzur, from the series Selections from the Joint Photographic Survey. © Adam Ryder. JP: Finally, what’s next for you? Are you continuing on with new documents from the JPS, or are there other projects in the works? 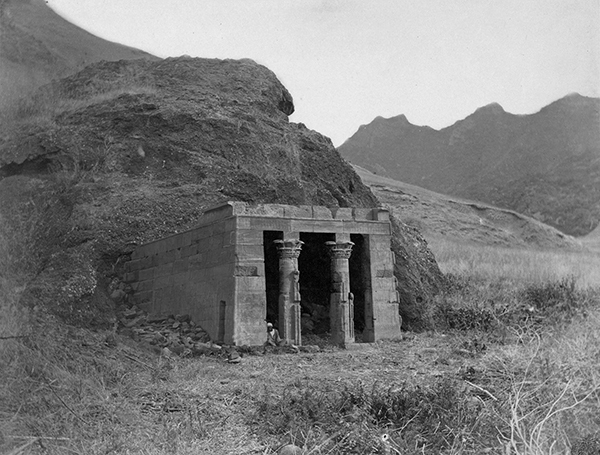 The Giladean Cave Tomb of Argob, from the series Selections from the Joint Photographic Survey. © Adam Ryder. Map of the City of Haraam, from the series Selections from the Joint Photographic Survey. © Adam Ryder. BIO: Adam Ryder is a photographer living and working in New York City and Washington DC. He holds an MFA in Photography, Video, and Related Media from the School of Visual Arts in New York City and a BA in Studio Art from Clark University. Ryder’s photographic practice has focused on the architecture, urbanism, science fiction cinema, futurism and the social sciences. As one half of the creative studio Site Unseen, he has collaborated on both grant-funded and residency-supported projects documenting infrastructure and contemporary landscapes in Rhode Island and Utah. He has recently exhibited at Camera Club of New York, Flanders Gallery, Harvester Gallery, Photoville, and Fountain Art Fair.